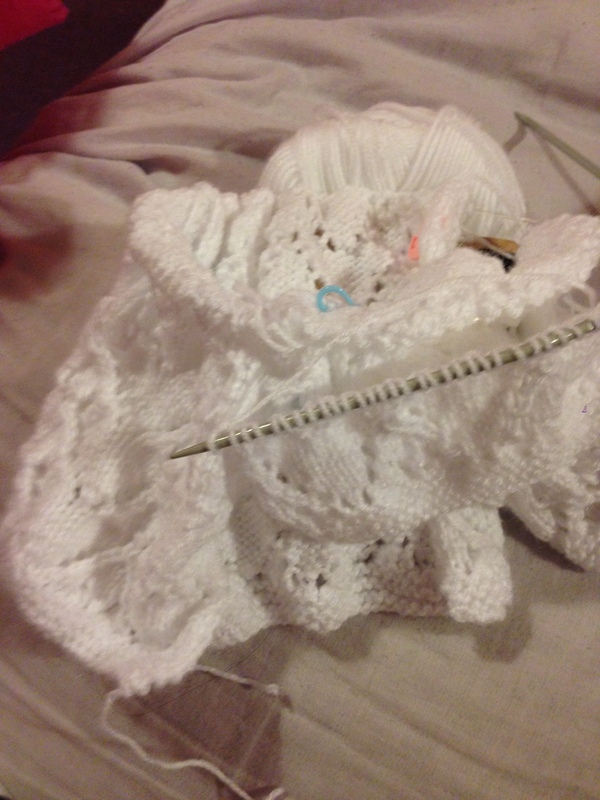 Trying to catch up with a month without knitting… is not a good idea. The fatigue of having to sit on the plane for 15+ hours has not yet gone and having to sit and knit did not help. My neck and shoulders hurt and tense, and now I have to put on heat patch on it so it is not too sore. 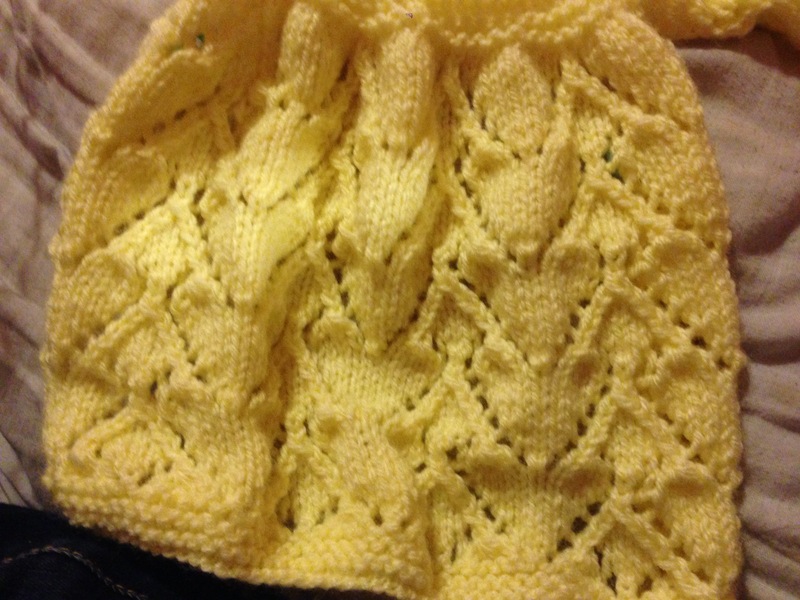 But I do miss knitting. Err… By the way, does anyone here know why BBC4 has been showing a lot of programs about church reformation lately? Not that I don’t like it — I love it. But I just want to know if we are commemorating something, or celebrating something related to it. Aaanyway… I have to WIPs when I left for Indonesia. The green cardigan for my DH, and the two yarns jumper for me. The jumper seems to grow very fast, but I think that’s also because I am comparing it to making a piece of cardigan the size of my husband. 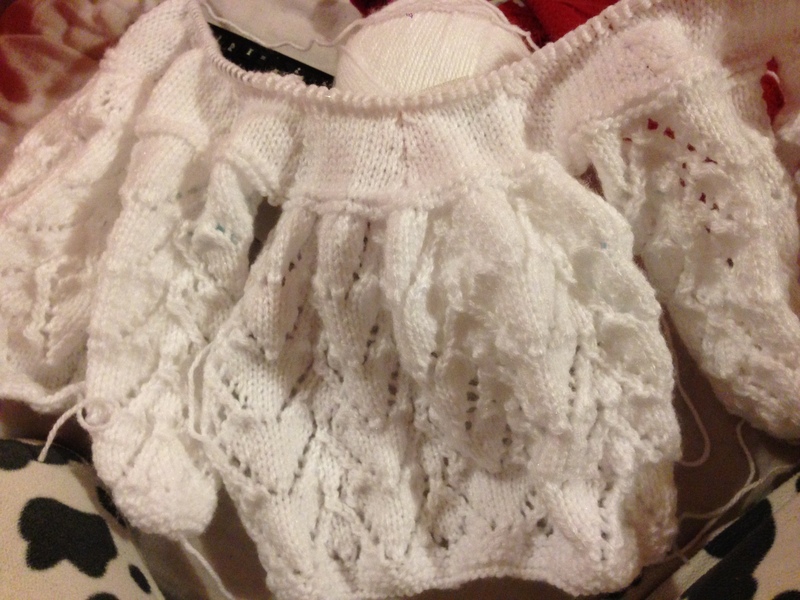 Both are doing very well, and I think very soon I will be having an FO. Since I haven’t yet learned how to make an interesting title for my blog post, I am afraid you will have to put up with the generic one — like this one. Yes, of course there’s nothing wrong with a generic title like this, but I kind of think that if the title says everything, it feels like spoiling the whole blog post. Like I said, the title is pretty much self-explanatory. 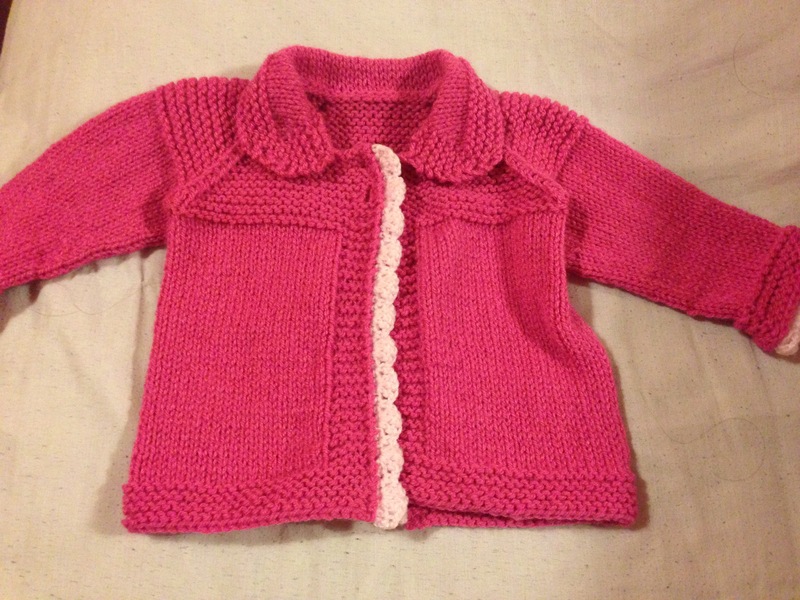 I have to say that I like this pattern very much, but if I am not careful I would end up with hundreds of these, and then going to have a big problem finding anyone who would need the jackets. 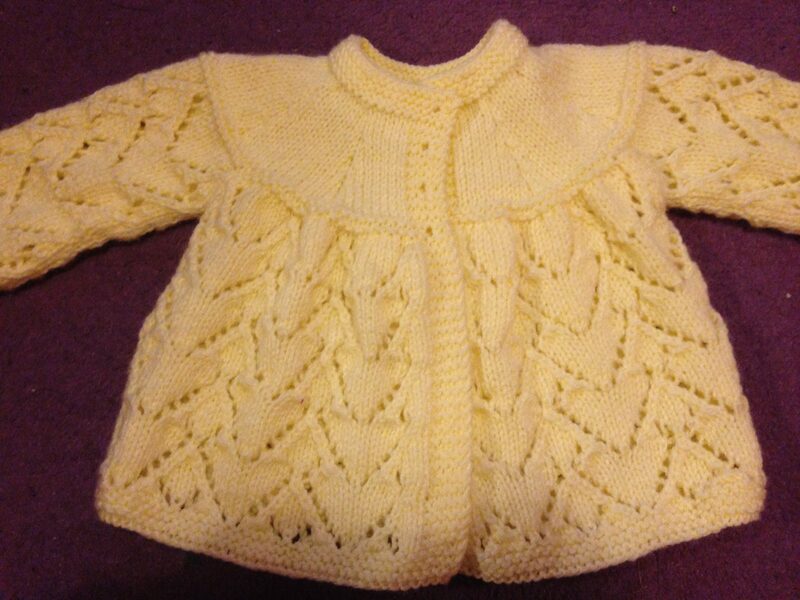 I think this is going to be the last one for a while, at least until mum or my sisters ask me to make more of these. As the others before, it progressed really quickly. 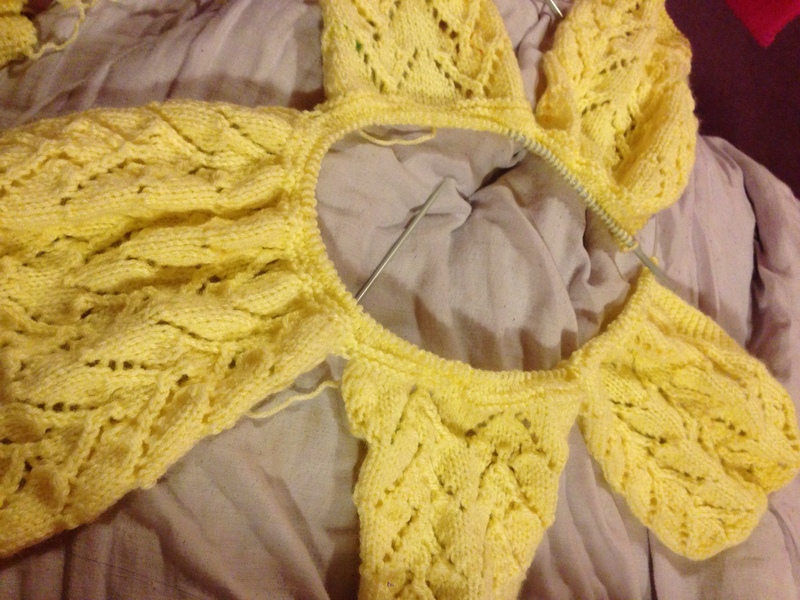 Just like what I suspected before, once I am used to the heart lace pattern, it gets much quicker. I could even do this while watching Miss Marple — and pretended that I am knitting with her while trying to solve a murder mystery. I quite like it when the project just goes smoothly. Which means no frogging, nor pretending not to notice that I have accidentally skipped one yarn over in row 14 — or trying to convince myself that every tiny mistakes in handmade stuff is what makes it unique. Yes… that defines a good day for me. In those kind of day, I would end up with FO, or at least something that resembles an FO. 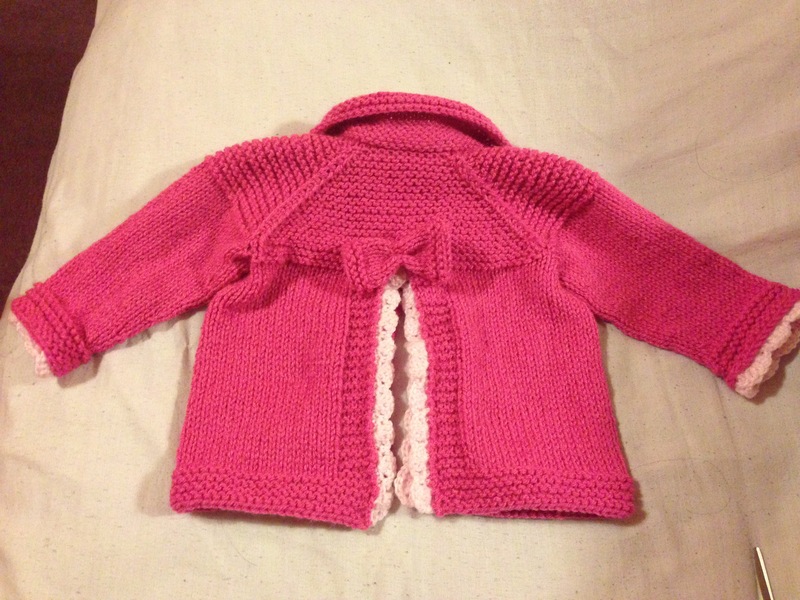 It doesn’t have buttons too! 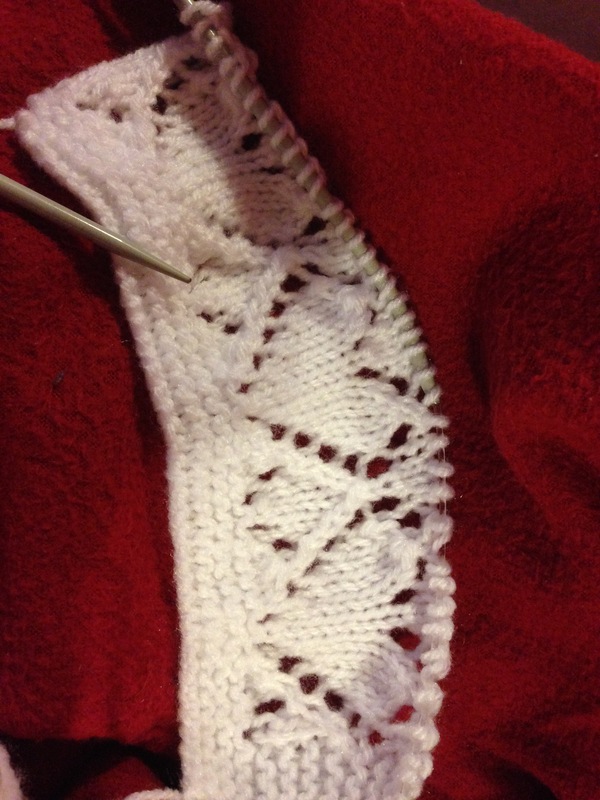 Don’t you think this heart lace pattern looks good with white wool? Anyway… Weekend! Again! This time it is this wonderful Bank Holiday weekend… apparently. Usually… there are two things that might happen in holidays and weekends: 1. You have a lot of activities — going to the city, shopping, dining out, or even getting a day trip to nearby historical towns. Or 2. The plan is to do as little as possible, and only move from your sofa when it is needed — and knit all day and all night, while having this crime drama on the telly. I finished the main part quite easily. Like I said, with st st, it is hard to screw up. The difficult part is the crochet bit. I had to frog 3-4 times before getting it right. First mistake I made was the stitches to pick. The pattern said that I had to pick the stitches from the back (wrong side), and I was not used to do it so it was really slow first attempt. 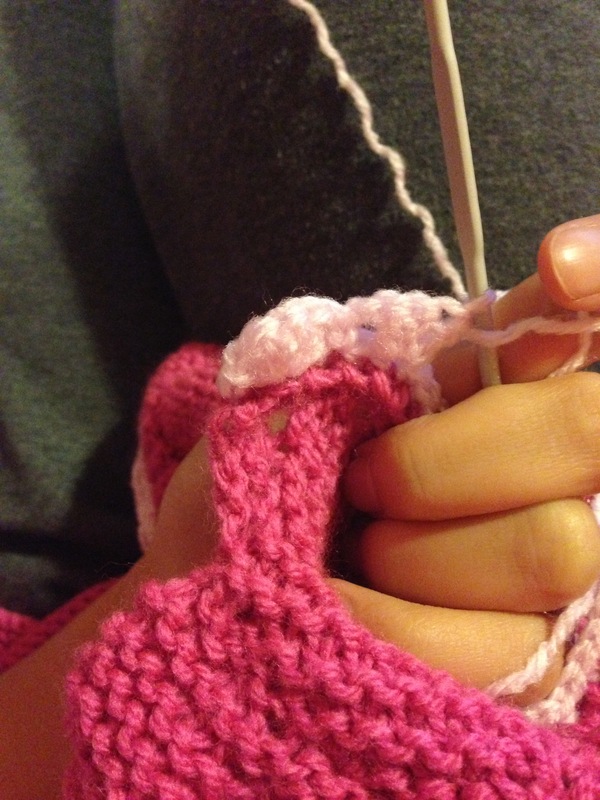 Then, it is about finding the correct tension as crochet and knitting has different gauge. In the end I found out that picking two for every three rows with smaller hook is the best way to get it right.